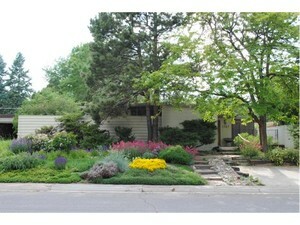 If your looking for mid-century modern living in Denver, then Virginia Village is the place for you. Virginia Village is one of Denver's best kept secrets, and has started to catch on with the younger generations with the resurgence and popularity of 1950's mid-century modern homes. 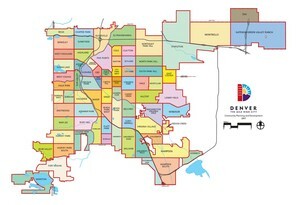 Located between Mississippi, Evans, Cherry Creek South Dr. and Colorado Blvd., Virginia Village features two of Denver's most popular modernist neighborhoods, Krisana Park and Lynwood. The design of these two distictive sub-areas of Virginia Village dates back to the 1950's when H.B. Wolfe & Company designed these largely Joseph Eichler inspired California Contemporary style homes. Despite these two distictive sub-areas, Virginia Village is also home to a large mix of more traditional architecture, condos and apartments. Never more than a short walk away, Virginia Village is home to several parks, such as Jusdge Joseph E. Cook Park, where you can often find neighbors spending a summer afternoon. Residents of Virginia Village enjoy quick access to I-25 and Colorado Blvd, which makes the neighborhood easily accessible to other parts of the city, like Cherry Creek, Downtown or out of town to the mountains for a weekend.